Ostrava (Polish: Ostrawa, German: Ostrau or Mährisch Ostrau) is a city in the north-east of the Czech Republic and is the capital of the Moravian-Silesian Region. 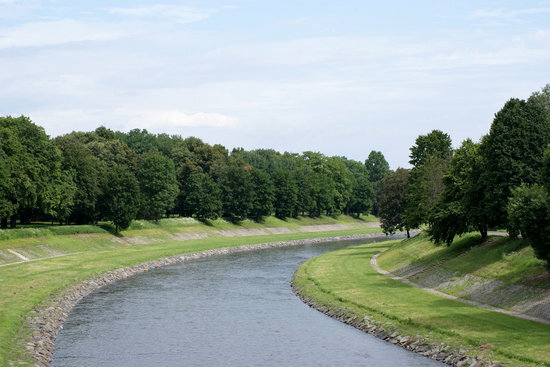 It is 15 km (9 mi) from the border with Poland, at the meeting point of four rivers: the Odra, Opava, Ostravice and Lučina. In terms of both population and area Ostrava is the third largest city in the Czech Republic, the second largest city in Moravia, and the largest city in Czech Silesia. It straddles the border of the two historic provinces of Moravia and Silesia. The population was around 300,000 in 2013. The wider conurbation – which also includes the towns of Bohumín, Doubrava, Havířov, Karviná, Orlová, Petřvald and Rychvald – is home to about 500,000 people, making it the largest urban area in the Czech Republic apart from the capital, Prague. The Moravian-Silesian Region (Czech: Moravskoslezský kraj; Polish: Kraj morawsko-śląski; Slovak: Moravsko-sliezsky kraj), is one of the 14 administrative Regions of the Czech Republic. Before May 2001 it was called the Ostrava Region (Czech: Ostravský kraj). The region is located in the north-eastern part of its historical region of Moravia and in most of the Czech part of the historical region of Silesia. The region borders the Olomouc Region to the west and the Zlín Region to the south. It also borders two other countries – Poland (Opole and Silesian Voivodeships) to the north and Slovakia (Žilina Region) to the east.